What is The Perfect Void Fill Solution? The Omni Air Pouch System is the Perfect Void Fill Solution; increasing packing productivity, reducing shipping costs and increasing customer satisfaction. These Air Pillows as a no-mess alternative to loose fill, hold goods securely in place without the ‘shift’ that often occurs with other types of void fill. These pillows are produced in biodegradable and recycled material making it a very environmental friendly void fill solution. 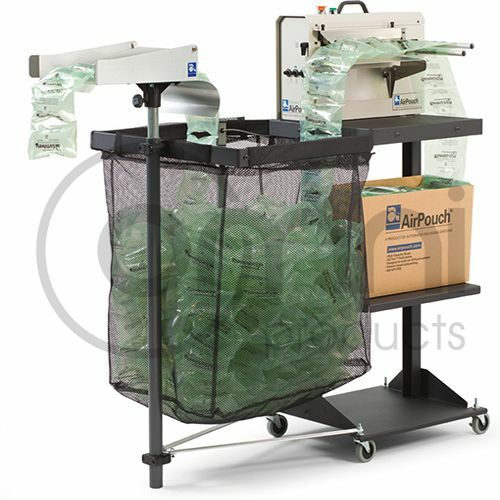 Operating at speeds of over 15 meters per minute in semi-or fully-automatic modes, the Omni Air Pouch Machines create continuous strips of air pillows that are ideal for all protective packing applications. This Air Pouch Film comes compact and z folded in a carton ready to be inflated by the machine creating continuous strips air pillows that are ideal for void fill application.